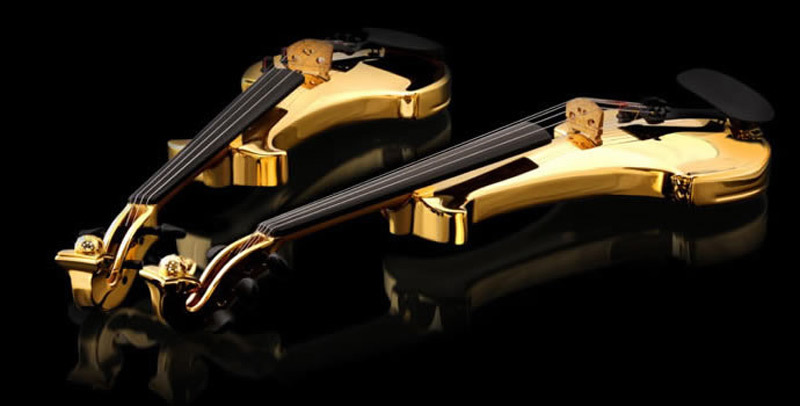 They already own a pair of Swarovski studded violins valued at $1.5 million each, but want more luxury and more expensive string instruments. 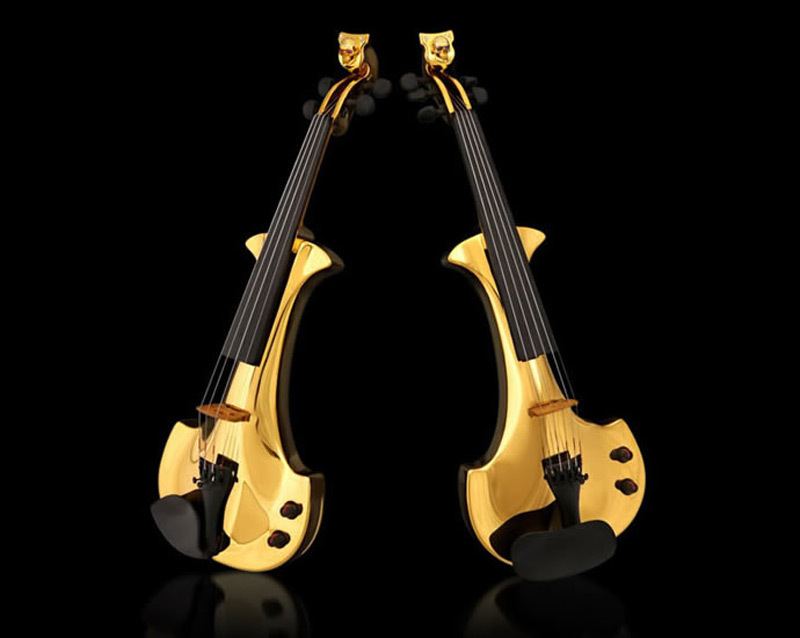 Electric violin duo FUSE has collaborated with British jewellery designer Theo Fennell and bespoke violin manufacturer Bridge to craft the world’s first ever 24-carat gold-plated violins, both worth £1,35 million ($2,12 million) each. 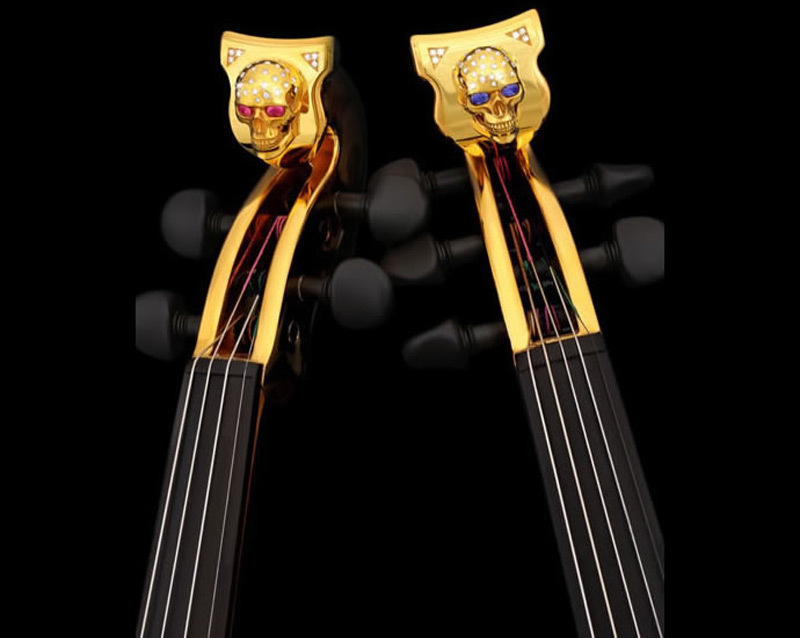 Individually handmade and exclusive to FUSE, these incredible works of art are made from carbon and kevlar, used to balance the weight of the gold plating and adorned with ruby, sapphire and diamond encrusted golden skulls in pink for Linzi Stoppard and blue for Ben Lee. 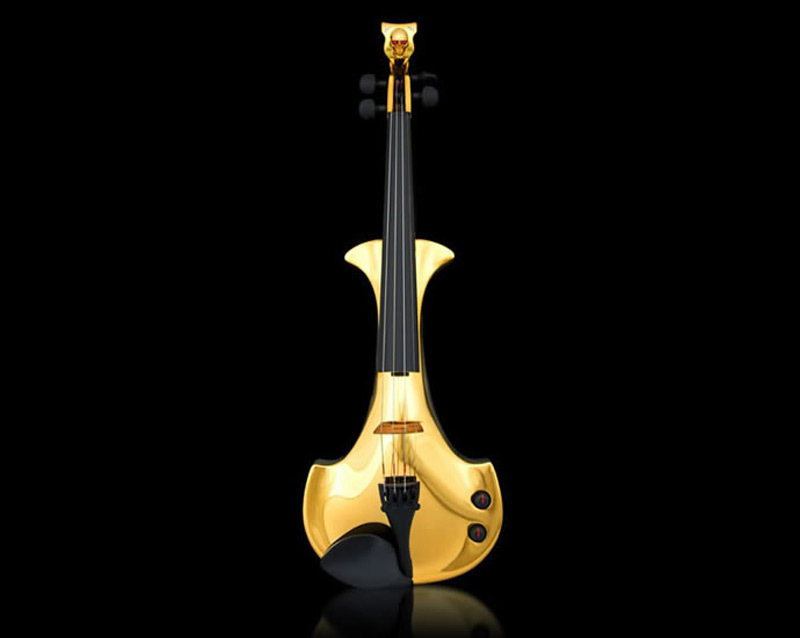 The exquisite instruments which took over nine months to be created were launched to the world’s media at the Theo Fennell boutique, Chelsea, London, before they are taken on tour to America and Asia.